A cozy, friendly restaurant conveniently located within Cherry Point Mall. We offer a wide variety of delectable, authentic Chinese & American dishes that will be sure to tingle your taste buds. Committed to providing both food & service that is of excellent quality. Hong Kong Buffet has been offering first-class food at a reasonable price for over eight years. Our waiters are known to be very friendly & will cater to your every need. 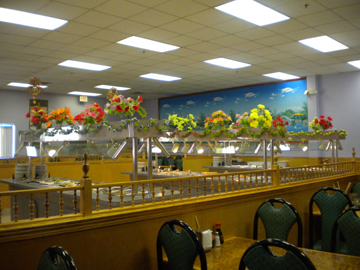 Come stop by Hong Kong Buffet & experience the difference! Nov daily 11-9. Dec-Apr, closed Su.